Are they just wacky and nonsensical – or could they make sense (and dollars) for marketing your business? Count me as a fan of funny holidays. Why? People are attracted to different. Our brains are wired to notice the odd and unusual. I suggest you try them! 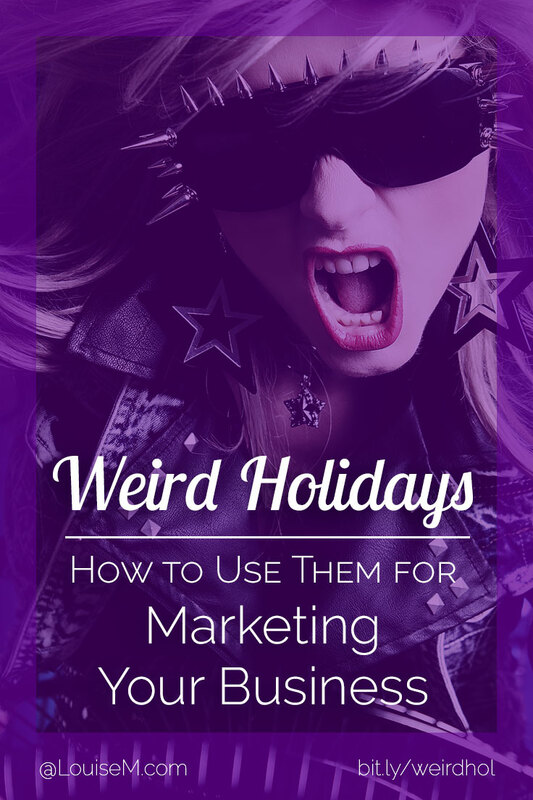 There are enough weird holidays to find ones that work for any type of business – even if the people you sell to are more of the corporate type. 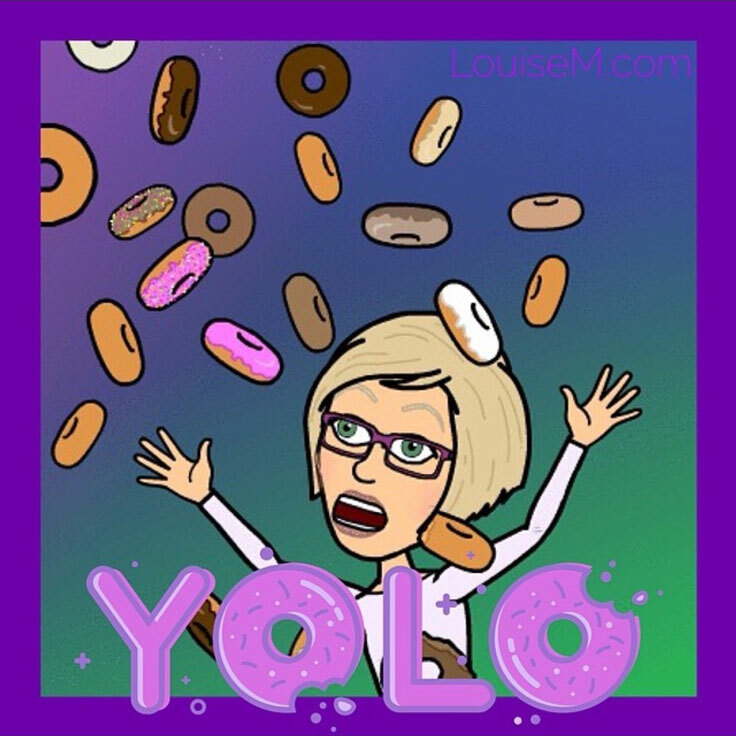 This wacky image went viral on Donut Day, June 3. As I noted in my post about content types, current holidays are trending. People see content about them all day (or season) long, and realize that you’re in the know when they see your content in the mix. How Many Weird Holidays Are There? There’s a unique holiday for every day of the year! Each offers a golden opportunity to latch onto the weird and wonderful and spin it into something uniquely yours. Everyone does promotions for the Christmas holidays. If you want memorable marketing, try Opposite Day or Pretend to Be a Time Traveler Day — and make your customers smile! 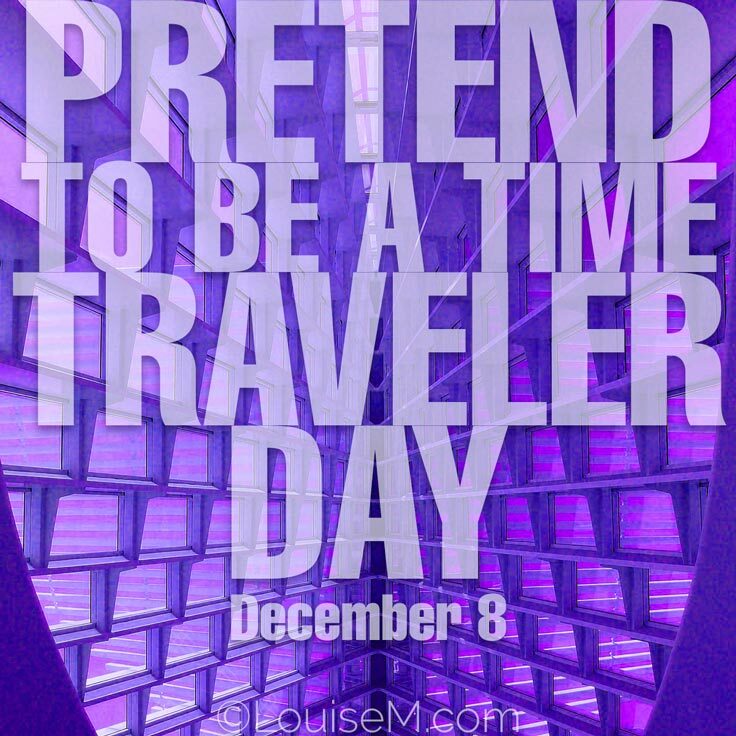 Pretend to Be a Time Traveler Day got BIG engagement on my Instagram! How Many Silly Holidays Should You Use? 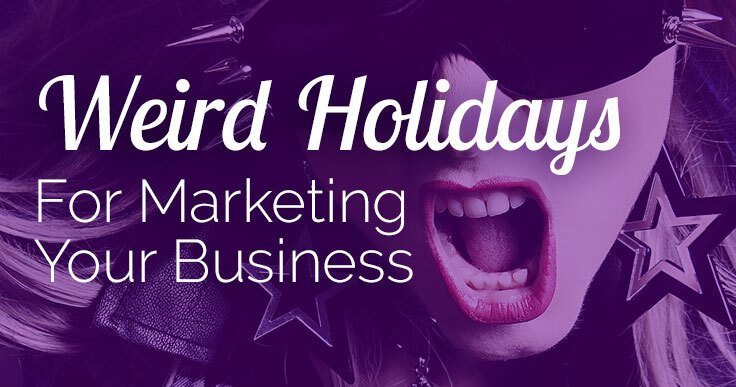 It’s unlikely that you want to build your entire marketing strategy around oddball holidays. That would be random and confusing to your audience. Use fun holidays when you need content ideas to stay in touch with your customers, followers, and subscribers. Provide an interesting topic of conversation. Any of those are useful for either directly promoting your business, OR creating a connection or conversation with your audience. You don’t want to promote all the time! Don’t align with your business personality. Interrupt a promotion you’re running. Those could create a disconnect, mistrust, or confusion about who you are and what you stand for. A quote graphic is an easy way to tie into a trending holiday. To get ideas of what’s available, you can check one or more of the many crazy holiday websites. Daily holidays at a glance. Ideas on how to use them. A way to keep track of those you’ll use, and how they perform. A balance of funny and business-oriented marketing ideas. Brainstorm which holidays make sense for your business, your brand (or business “personality”), and your audience. Fitness, health, and wellness businesses are a natural for healthy foods and stress relief. Family-oriented businesses match up with kid-themed days and many food holidays. Business-to-business can find holidays like Clean Out Your Computer Day. Your specific industry may have a holiday like National Toothache Day for dentists. But don’t shy away from using some purely silly holidays that resonate with your audience. These help you stand out and find your tribe of like-minded people, who love to do business with you – because you’re you! 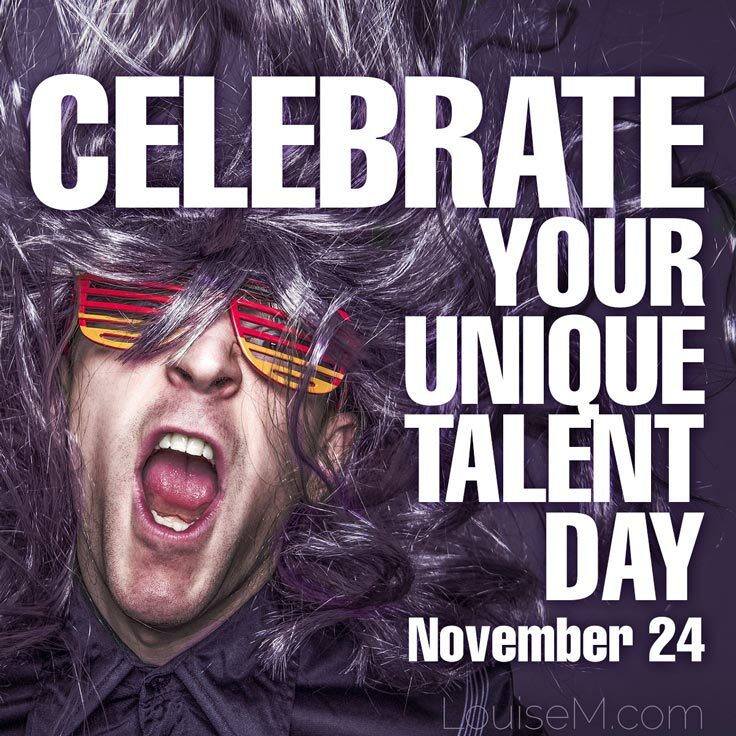 I’m big on creativity and expressing oneself, so I pick a lot of oddball holidays like Celebrate Your Unique Talent Day. I encouraged followers to comment on Celebrate Your Unique Talent Day. 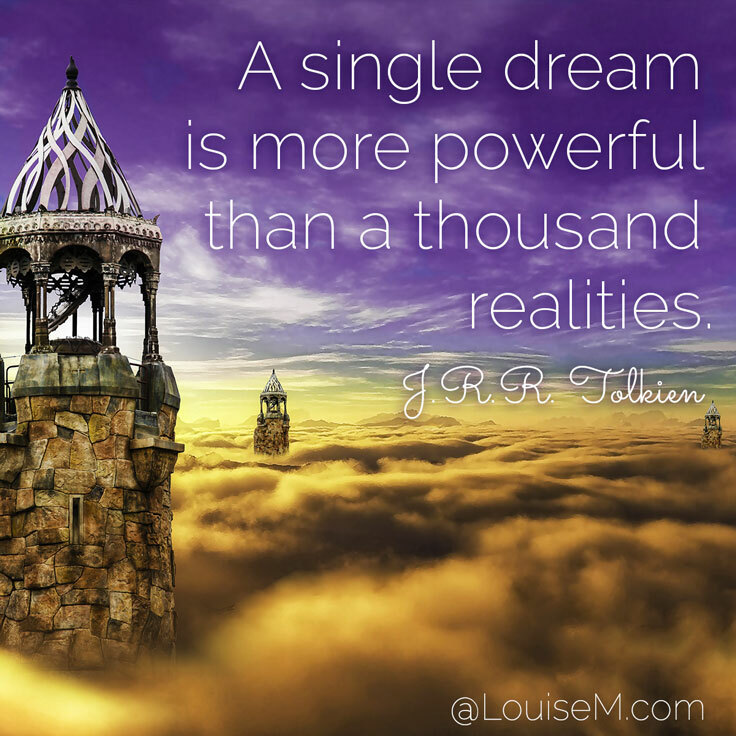 Create a quote graphic for a holiday like Lincoln’s Birthday, J.R.R. Tolkien Day, MLK Jr Day, or Presidential Joke Day. Hold a photo or video contest on Dress Up Your Pet Day or Chicken Dance Day (and so many others!). Share delectable recipes (and ask followers for theirs) on any of the food-related holidays. Spread joy with upbeat images on Happiness Happens Day, Cheer Up the Lonely Day, and so many more. Show appreciation for customers on National Thank You Day, National Compliment Day, or You Matter to Me Day. Share a selfie on Hat Day, Wear Something Gaudy Day, or Wear Your Pajamas to Work Day. So many ways to use weird holidays for marketing! Which will you choose? For Weird Holidays and more marketing ideas, grab the Social Media Content Planner! Removed your link though: blog comment policy. Inappropriate use of the term “spastic”, completely and utterly…frankly I’m shocked and disappointed that you’d think that to be acceptable. I didn’t read any further, and I doubt very much if I’ll be reading any other articles. My apologies for misusing a word. I honestly didn’t know this word was offensive.